In the Business Services Department, we work behind the scenes to ensure that our district runs smoothly from a financial standpoint. We oversee the development, monitoring, and forecasting of the revenue and expenditure budgets for all funds in the district, and we are responsible for the preparation and timely filing of several reports to the Arizona Department of Education (ADE). We invite you to contact our department with any questions you may have about the district budget or the allocation of funds. You will also find helpful forms and information for your perusal and use at the side of this page. Below you will find answers to questions we’re frequently asked about the Arizona state tax credit. If you have additional questions, please call (520) 281-8282, ext. 8270. 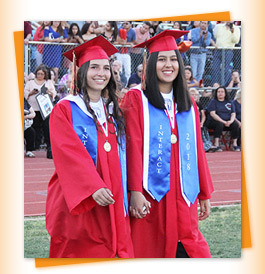 Arizona law provides a tax credit for contributions to public schools to support extracurricular activities. A tax credit is different from a deduction, because you may subtract the whole contribution from your Arizona state tax bill. For specific tax questions, you will want to consult with your tax advisor. How do you define extracurricular activities? Extracurricular means any optional, non-credit educational or recreational activity that supplements the education program of our schools. Some examples are sports, band, and clubs. Who can participate in the tax credit program? This program is available to all Arizona individual taxpayers, regardless of whether or not they have children in school. An individual can contribute up to $200, or a couple filing jointly can contribute up to $400. At the side of this page, you’ll find a Tax Credit Contribution form. Print the form, fill it out, and mail it to the address listed on the form. Our school offices also have hard copies of the tax credit form available for you to pick up. You will need to submit your application, available in both English and Español, by April 15, 2019, to qualify for the 2018 tax credit. We will post open bids here for your convenience and review. District disposal items are now available for bidding on the public surplus website. Take a look, and let your friends know about the auctions.